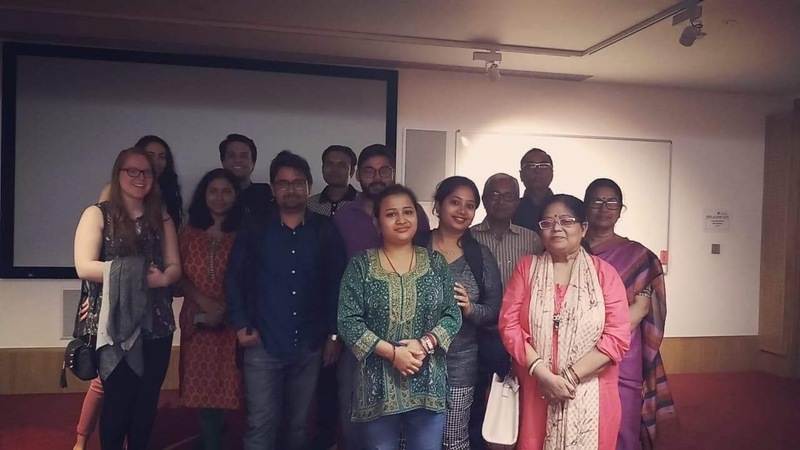 Edinburgh university organised two-months long Bengali film festival for the first time to reach out to the international audience. Dr Sumit Konar, a post-doctorate from the university along with four software professionals viz. Nilanjan, Tirtho, Samrat and Anindya organised this festival on every Friday of the month July and August. They showcased widely loved films such as Kaushik Ganguly's Apur Pachali, Satyajit Ray's Jana Aranya, Gautam Ghosh's Padma Nadir Majhi etc. A special mention went to Aditya Bikram Sengupta's Asa Jaoayar Majhe (Labour of Love) which showcased a dialogue-less silhouette of everyday humdrums and noises.